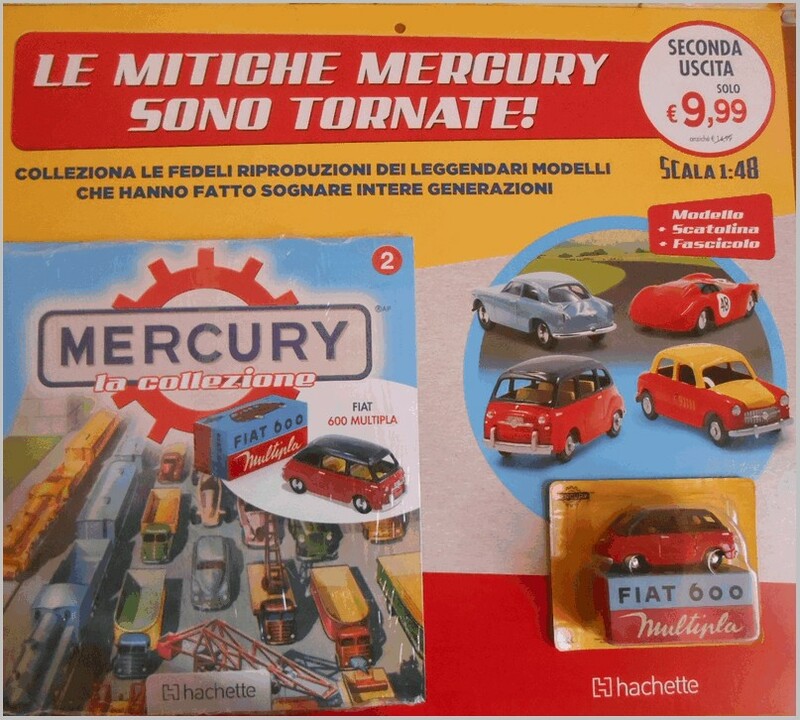 Here a few pictures of the second and third model to be released in the Mercury partwork being sold in Italy by Hachette. 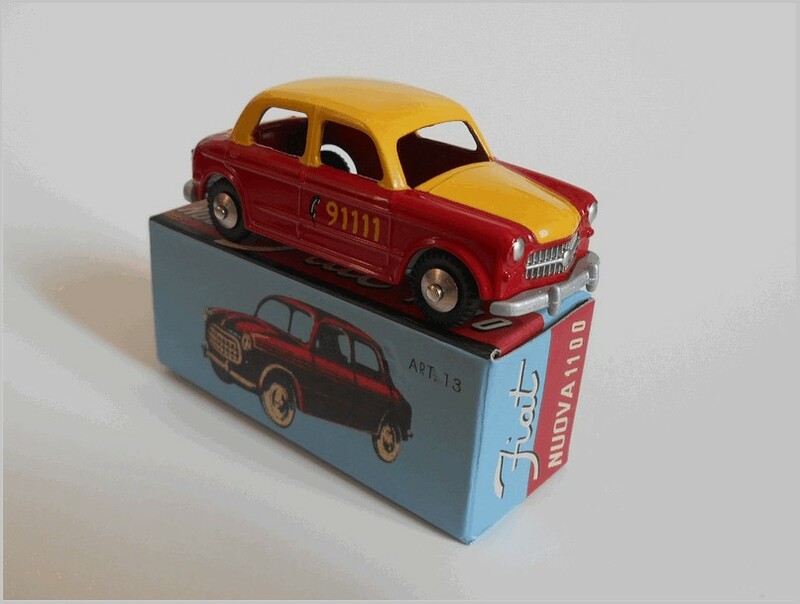 The second part is again issued on a large card to attract the attention of the customer to the series and the model being sold at a discounted price. 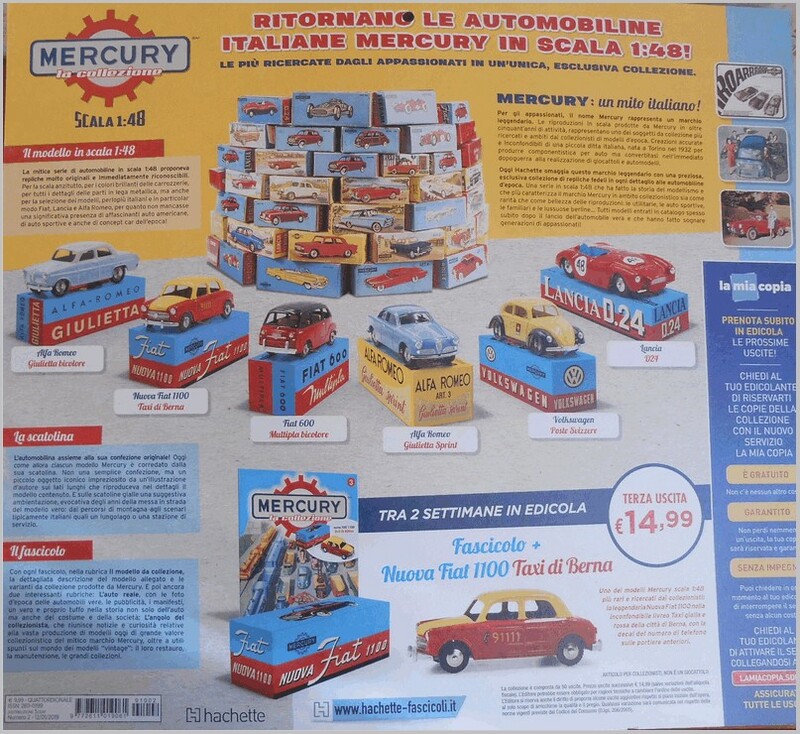 This card is huge and must cause news stands and shops in Italy a lot of issues finding space to display them. The model looks tiny in its cover mount. On the rear of the card we again get a display showing us what is to come and a taster for the third model which will be at the standard price for the collection. 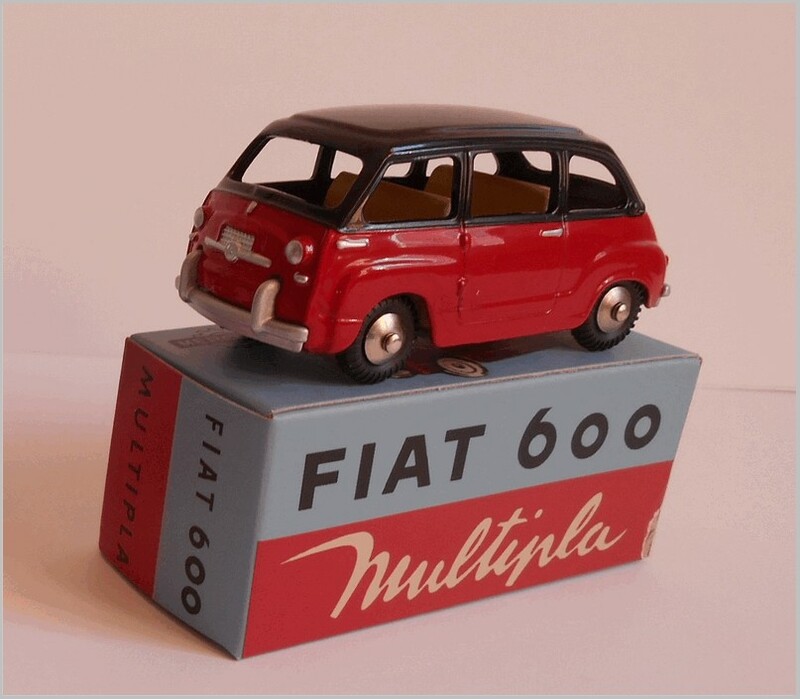 The red and black Fiat 600 model shown below is the replica from Hachette sitting on the replica box.. 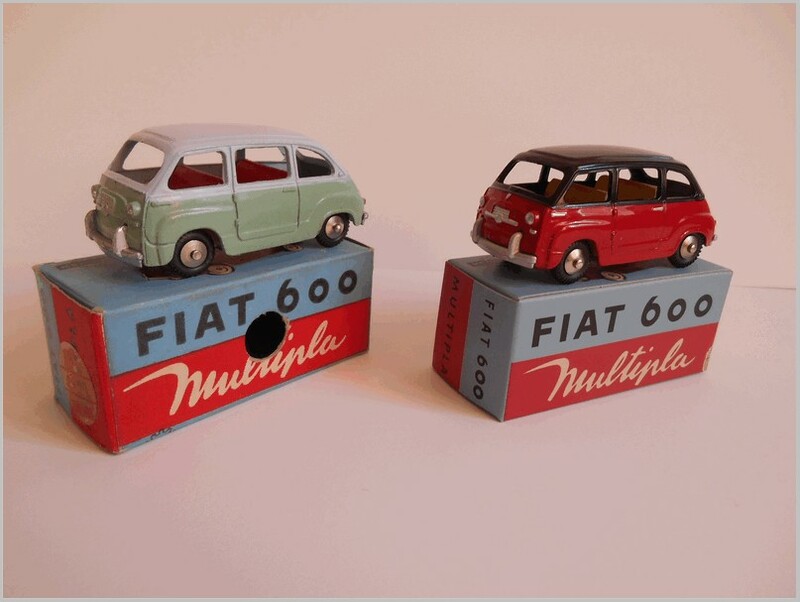 The green and grey model shown in comparison below is an original Mercury model from my collection. 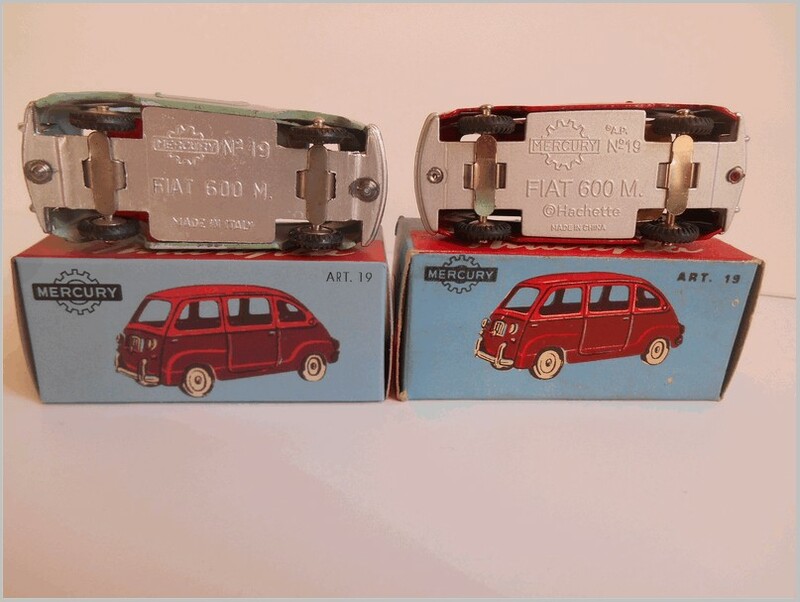 There are no big differences between the two though the baseplate is engraved upside down on the new replica as shown below (NB the cars are positioned on the wrong boxes with the new Mercury on the right on the old Mercury box, and vice versa.) . 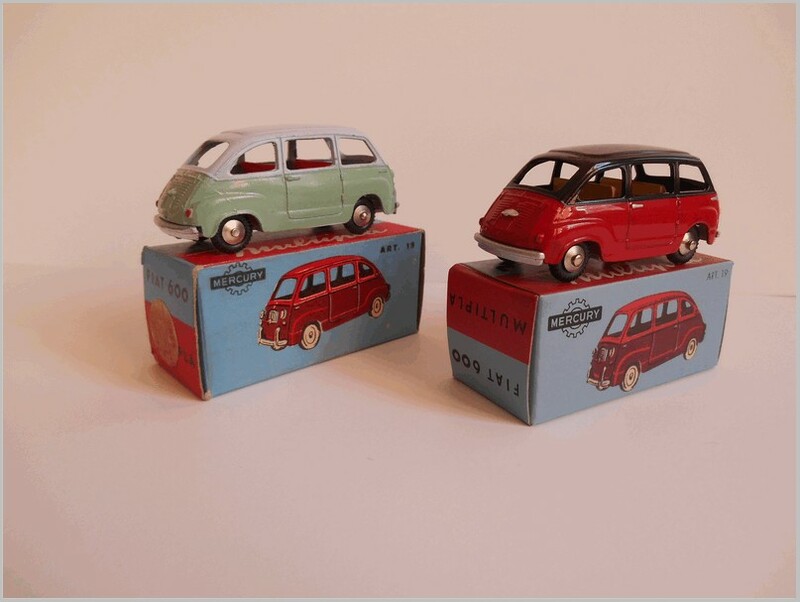 The Hachette box is also slightly altered from the original as it lacks the hole that Mercury had punched in to allow buyers to see the colour of the model inside. Even the weight is similar with the Hachette being a few grams lighter. Here the third model from the Hachette partwork. 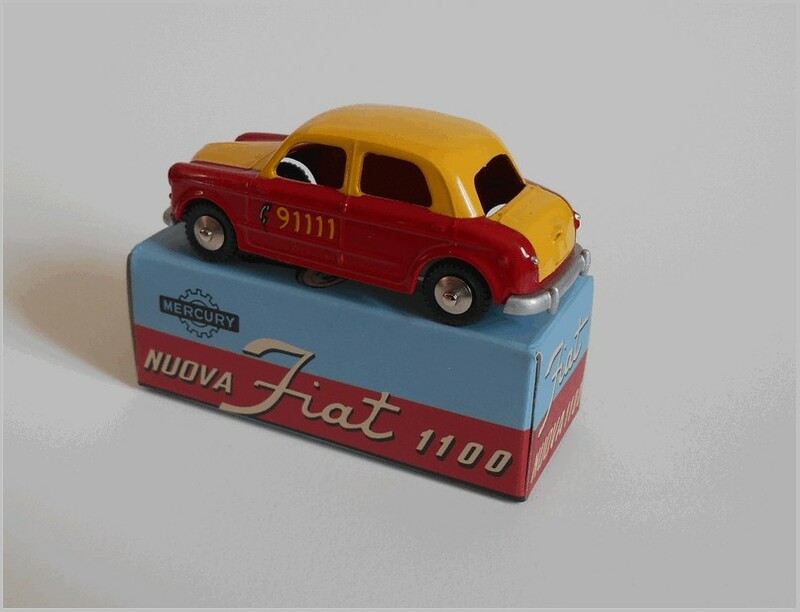 The Fiat nuova 1100 taxi in the livery of Berne (Berna in Italian) in Switzerland. 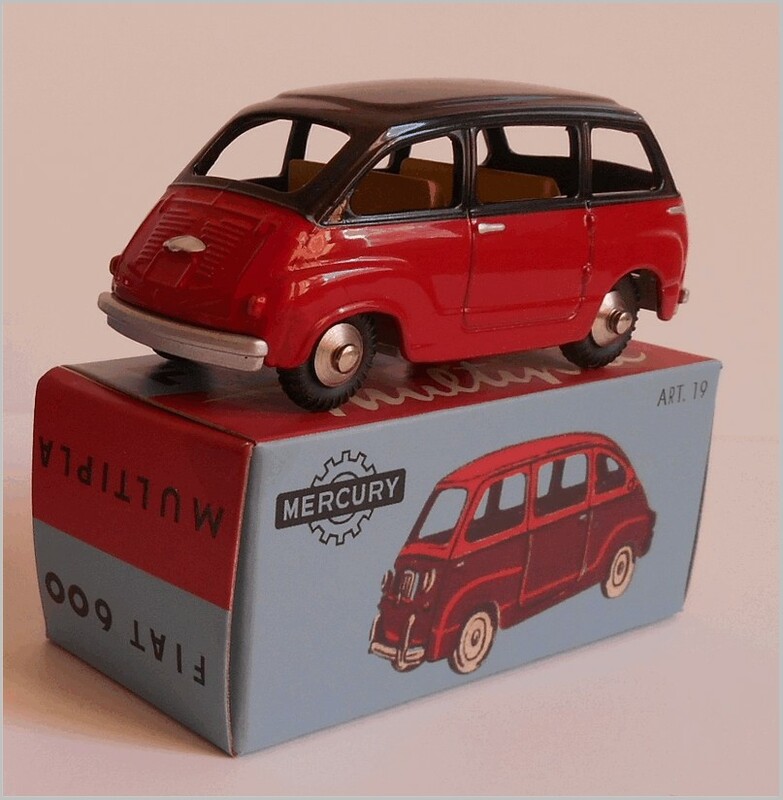 Hachette has chosen to model a very rare Mercury as they were only sold in Berne and consequently are very sought after by collectors. 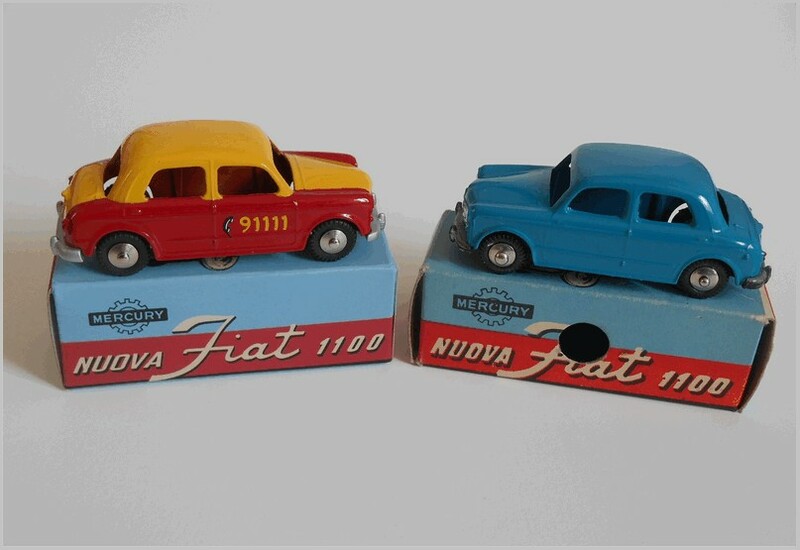 Unfortunately I do not have one to compare it with so I have shown it below with the standard 1100 that it is based on. Again the Hachette box lacks the ‘spyhole’ which shows the colour of the model.